Universal Marine & RV - Minnesota Boat And RV Dealer | Home of "Best Outright Price"
SPECIAL PURCHASE Free Universal Package Plus $2500 discount! Universal Marine & RV in Rochester, Minnesota is a new and used boat and RV dealer offering sales, parts and service for top brands including Tracker boats, Crestliner boats, Winnebago(Class A and Class C) Motorhomes, Forest River(Travel Trailers, Fifth Wheels and Park models). 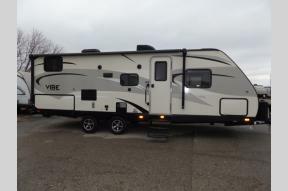 Our brands that we carry are Sandpiper, Rockwood, Windjammer by Rockwood, Heritage Glen Lite, Wildwood(including Wildwood X-Lite, Lodges), R-Pod, Vibe and Winnebago. In addition to new and used sales, we also offer boat and RV consignments. Let us help you sell your boat or RV. As a full service boat and RV dealer, we also offer parts, accessories, service repairs and collision repairs. We are conveniently located in Southern Minnesota just south of St. Paul and Minneapolis, MN and a short drive from Sioux Falls, South Dakota, Northern Iowa or Western Wisconsin. We can arrange for delivery of your new RV or boat to anywhere in the US or even help with worldwide delivery/shipping. We look forward to offering our new and existing customers quality boat and RV sales and service. Call us at 507.424.0210 or stop by our Minnesota RV dealer location for great prices on new and used RVs, travel trailers, fifth wheels, motorhomes, pontoon boats, ski boats and fishing boats in Rochester, MN.